Adjunct Faculty: Tatsiana Astapovich, John Bryant, Heather Buchanan, Juan Chavarro-Villa, Jolene Dennison, Robert DeVol, Whitney Fau, Sherri Focarino, Rebecca Hayes, Lois Krepcho, Jennifer Lowther, Chuck Mitchell, Lori Robage, Leticia Rojas, Brandon Stephens, Alisha Wehtje, Robin Wirt. 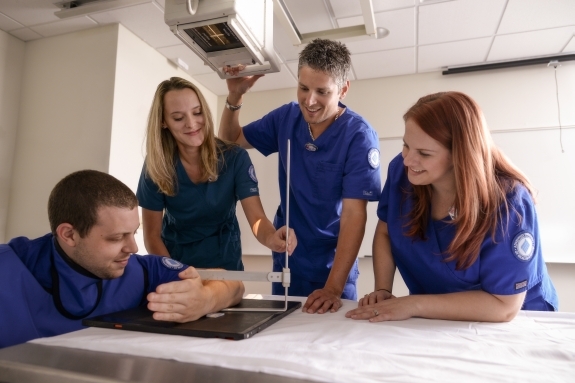 Consistent with the mission of the University, the Radiography Program at Adventist University of Health Sciences (ADU) provides a Christian educational environment that prepares students to become skilled imaging professionals who possess technical expertise and personal characteristics for successful employment. Graduates will be eligible to apply for the National Certification Examination administered by the American Registry of Radiologic Technologists (ARRT), and subsequently may be licensed by various state licensing agencies. The Radiography Program is accredited in accordance with the standards set forth by the Joint Review Committee on Education in Radiologic Technology (JRCERT), 20 North Wacker Drive, Suite 2850, Chicago, Illinois 60606-3182, Phone: (312) 704-5300; e-mail: mail@jrcert.org.